Julia Bachrach leading a tour of Humboldt Park for Jane’s Walks, 2013. Julia Bachrach leads tours that are enjoyable and informative. Tours can come in many different shapes and sizes. Julia offers both walking and bus tours. They can range from one to six hours long, and she tailors the experience to meet the needs and interests of your group. Julia explores themes and places in Chicago and its surrounding region that are unknown to many other tour providers. Local residents and tourists all feel a sense of discovery and enthusiasm when they take Julia’s tours. Julia has given tours to such groups as: President’s Council of the Chicago Botanic Garden, American Institute of Architects, National Association of Olmsted Parks, Alliance for Historic Landscape Preservation, Cole Burrell Tours, Art Institute of Chicago Community Associates, American Planning Association, Chicago Park District Hidden Treasure Tours, Jens Jensen Legacy Project, Victorian Society of America, Obscura Society. Tour of a Frank Lloyd Wright-designed house and Jens Jensen-design landscape in Riverside, IL, 2016. Participants of this tour of Jackson Park discovered the Museum of Science and Industry had been the Palace of Fine Arts during 1893 World’s Columbian Exposition, 2015. Tour of Chicago’s Historic Pullman including the iconic Green Stone Church, 2016. 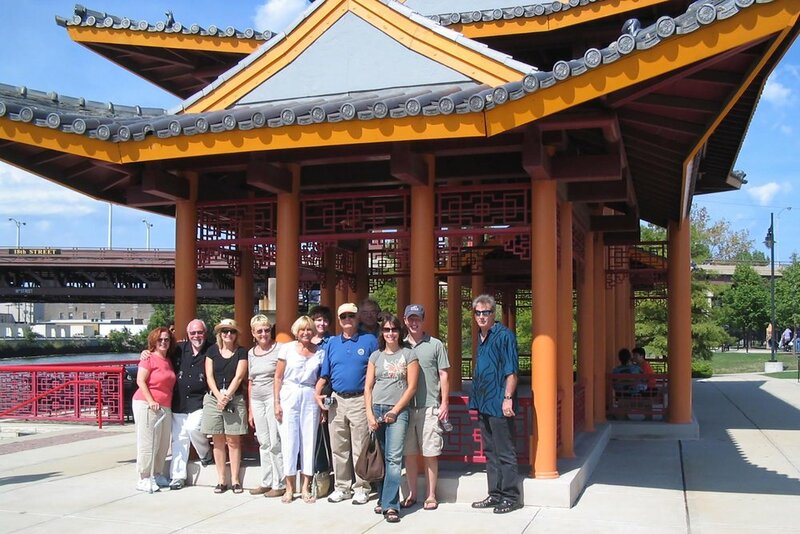 The Chicago Parks Old and New bus tour featured Ping Tom Park in Chinatown, 2010. Tour of Lincoln Park sculptures and monuments, 2016. Restored Alfred Caldwell Lily Pool in Lincoln Park, 2010. Julia Bachrach believes that docent-led tours are among the most powerful vehicles to connect the public with a historic or natural place. A well- managed and highly trained corps of volunteer docents can be a dynamic and cost-effective way to engage and educate the public at a historic site, nature preserve, or museum. Julia established the Lincoln Park Docent Program in 2003. 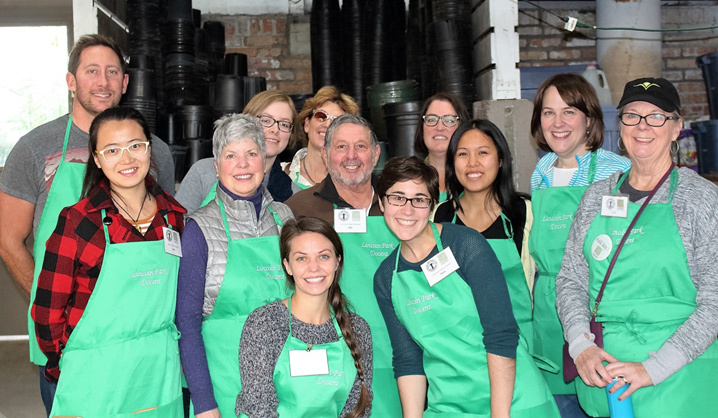 Over the years, hundreds of volunteers have been trained as docents for the Lincoln Park Conservatory and Alfred Caldwell Lily Pool through this program that continues today in conjunction with the Lincoln Park Conservancy. Julia Bachrach has recruited and trained volunteer docents who have provided tours at Chicago Park District facilities for the Chicago Architecture Foundation’s Open House Chicago for several years. In this profile, she is introduced as the site host of the Berger Park Mansion. To contact Julia about tour or docent training opportunities, contact her at Julia@jbachrach.com or (773) 761-5040. Volunteer docents during training session that focused on nature and wildlife of the Alfred Caldwell Lily Pool, 2005. Graduates of 6-week Lincoln Park Docent Training Program, 2015. Julia Bachrach with the first class of Lincoln Park Docents, 2003. Julia Bachrach with visitors of the Lincoln Park Conservatory during Open House Chicago, 2013.